Tom graduated from the University of Guelph with a BSc in 2011. He went on to complete a Post-Graduate Diploma in Environmental Engineering Applications at Conestoga College in 2012. After graduation, Tom spent five years working as a Water Resource Technician for the Ausable Bayfield Conservation Authority and was responsible for environmental research and monitoring projects focused on the effects of agricultural best management projects on soil health and water quality. In 2016 Tom achieved certification as a NASM Planner and then also became a Certified Crop Advisor and Nutrient Management Planner in 2017. He joined Crop Quest Inc. in 2016, and has prepared and managed many NASM plans since then. 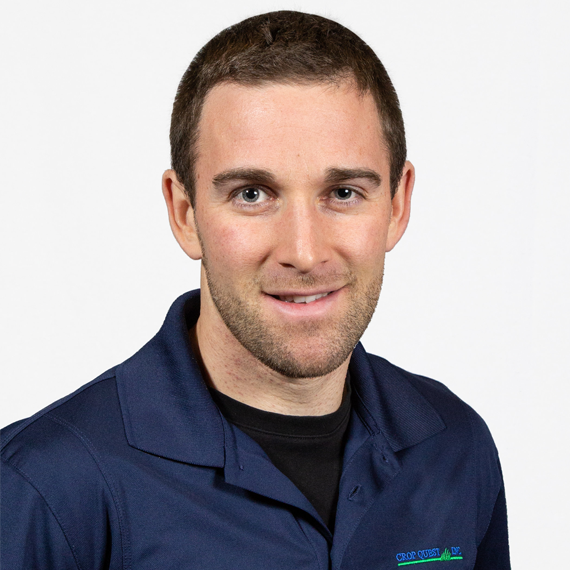 Tom grew up and worked on a family dairy farm near Mitchell Ontario, and currently helps run the operation in addition to his role with Crop Quest Inc.
Tom is available to assist clients with their nutrient management needs and NASM plans. If contacted by any media, make no comments.